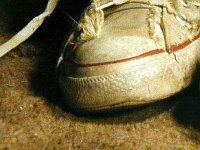 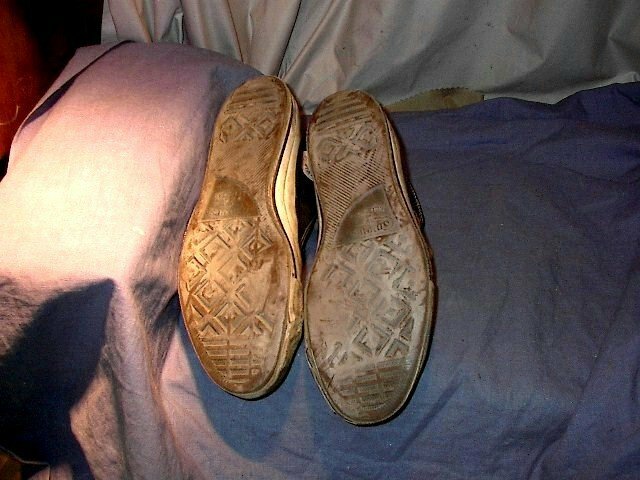 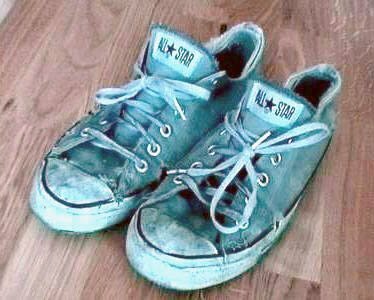 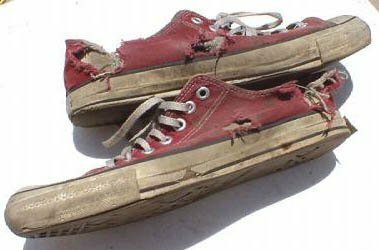 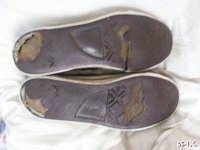 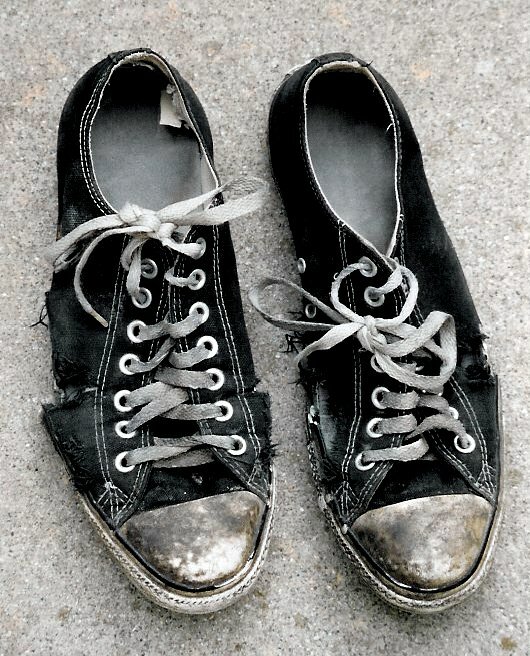 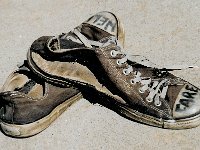 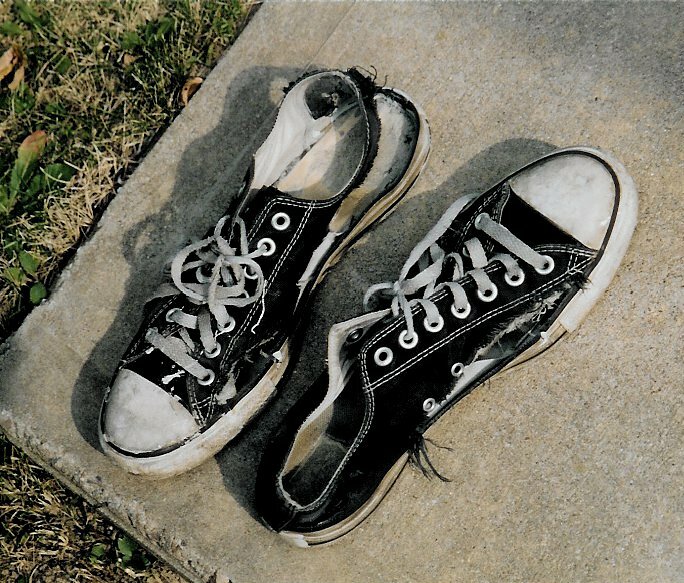 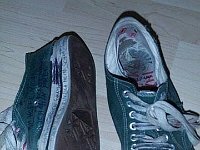 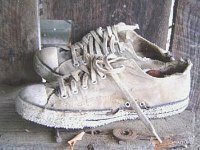 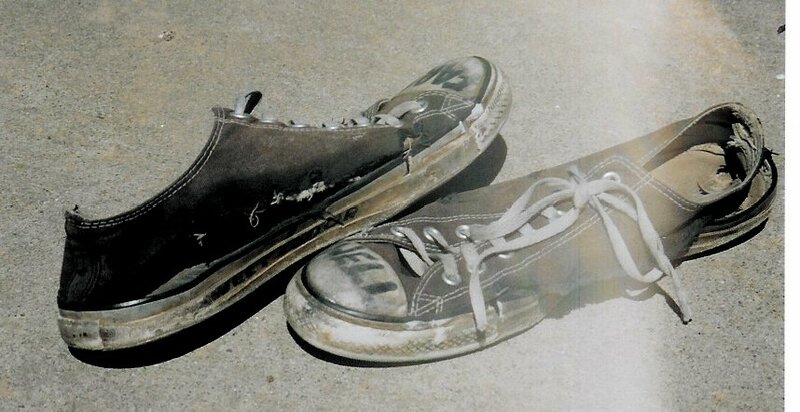 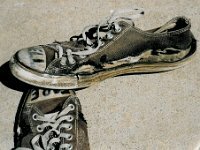 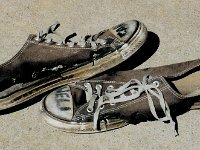 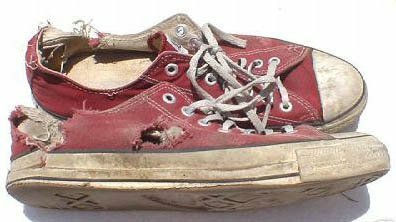 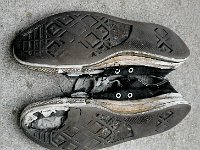 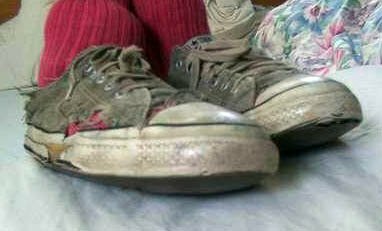 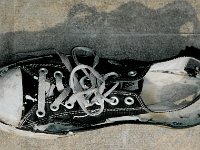 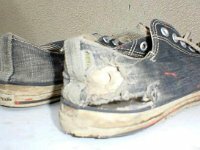 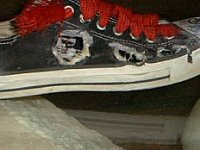 Photo gallery of well worn trashed low cut chucks. 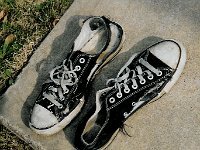 1 Trashed Low Cut Chucks Well worn black low cut, sole and side views. 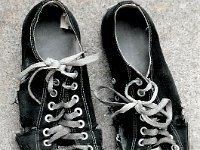 2 Trashed Low Cut Chucks Well worn black low cuts, top view. 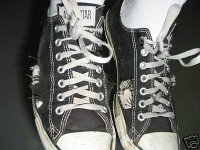 3 Trashed Low Cut Chucks Well worn black low cut, rear view. 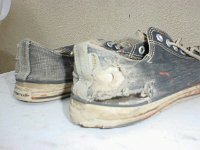 4 Trashed Low Cut Chucksv Worn black low cuts, angled top view. 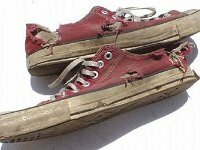 5 Trashed Low Cut Chucks Well worn and threadbare low cuts. 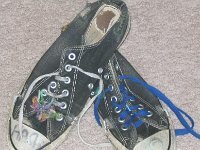 6 Trashed Low Cut Chucks Well worn black low cuts, side views. 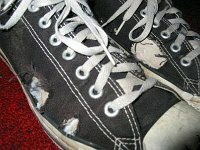 7 Trashed Low Cut Chucks Well worn black low cut, side view. 8 Trashed Low Cut Chucks Skater worn black low cut, top and sole views. 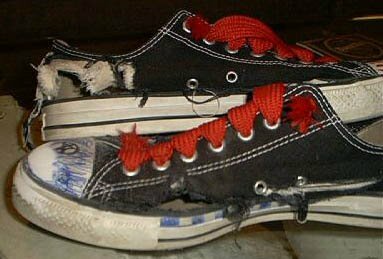 9 Trashed Low Cut Chucks Trashed black low cut chucks, angled rear view. 10 Trashed Low Cut Chucks Well worn black low cuts, angled top view. 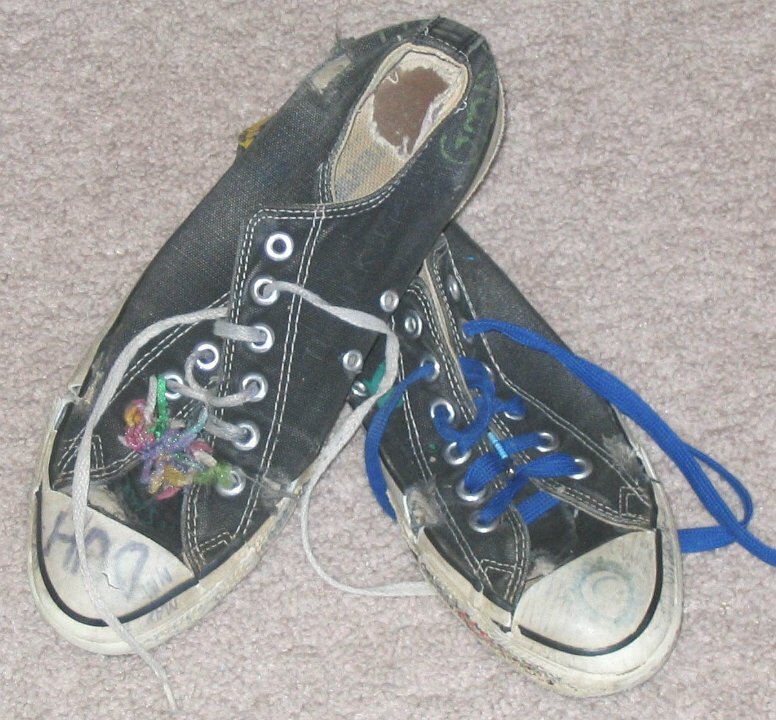 11 Trashed Low Cut Chucks Threadbare black low cuts, top view. 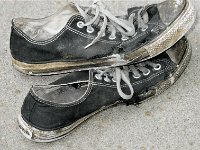 12 Trashed Low Cut Chucks Well worn black low cuts, top views. 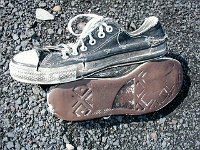 13 Trashed Low Cut Chucks Well worn black low cut, top view. 14 Trashed Low Cut Chucks Well worn right black low cut, top view. 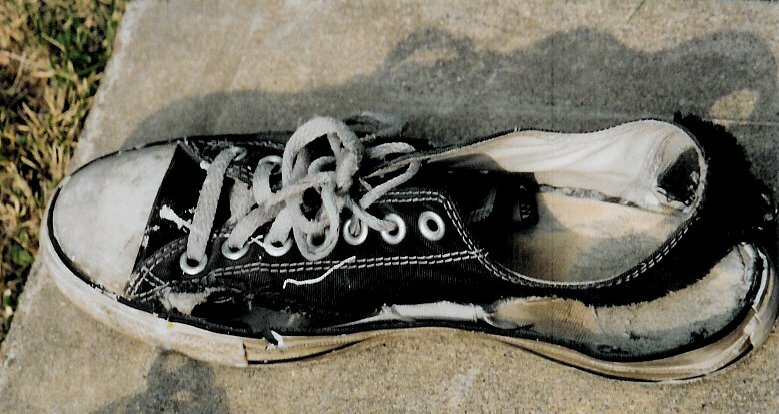 15 Trashed Low Cut Chucks Trashed black low cuts, top and side views. 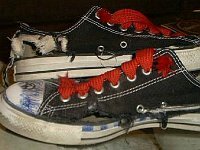 16 Trashed Low Cut Chucks Trashed black low cuts, top and side views. 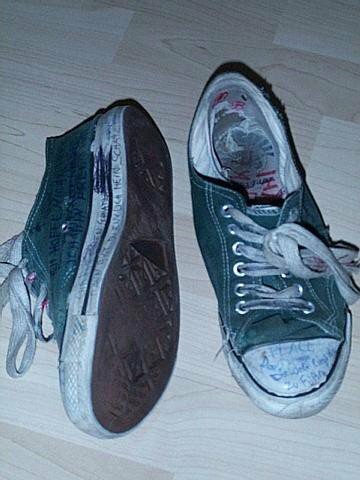 17 Trashed Low Cut Chucks Trashed black low cuts, top and side views. 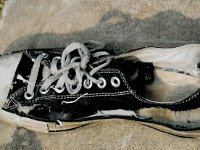 18 Trashed Low Cut Chucks Trashed black low cuts, angled top and side views. 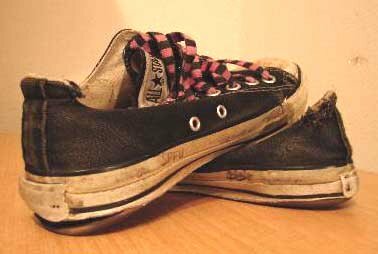 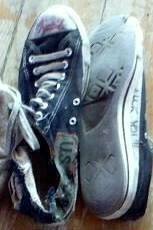 19 Trashed Low Cut Chucks Trashed black low cuts, sole views. 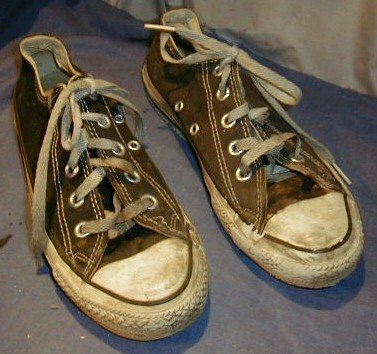 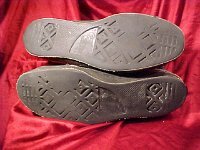 20 Trashed Low Cut Chucks Well worn black low cuts, top and side views. 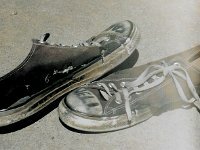 21 Trashed Low Cut Chucks Trashed black low cuts, top views. 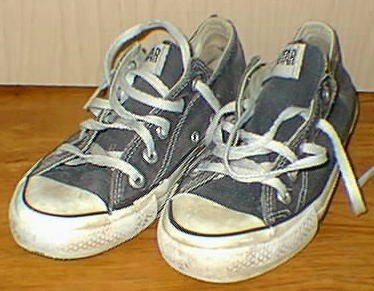 22 Trashed Low Cut Chucks Well worn black low cuts with canvas holes, partial top view. 23 Trashed Low Cut Chucks Well worn navy blue low cuts, left side views. 24 Trashed Low Cut Chucks Well worn navy blue low cuts, top views. 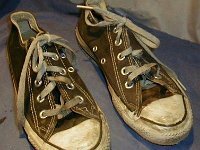 25 Trashed Low Cut Chucks Well worn brown low cuts, angled top views. 26 Trashed Low Cut Chucks Well worn green low cuts, sole and top views. 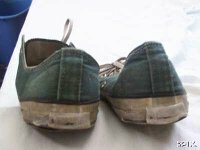 27 Trashed Low Cut Chucks Well worn green low cuts, side view. 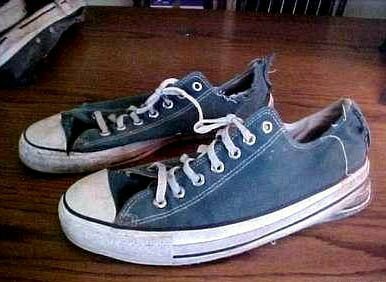 28 Trashed Low Cut Chucks Well worn green low cuts, angled top view. 29 Trashed Low Cut Chucks Trashed denim cuts, partial side view. 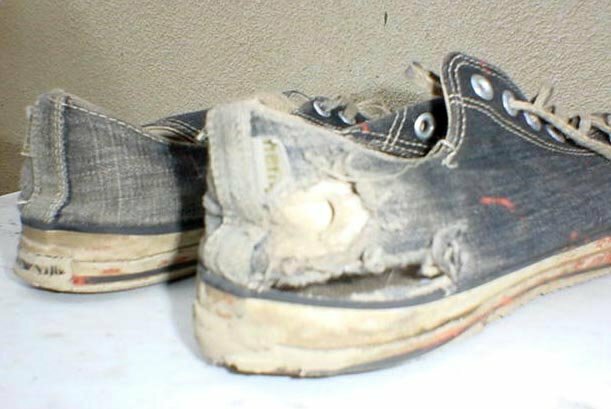 30 Trashed Low Cut Chucks Outer sole view of well worn monochrome black low cuts. 31 Trashed Low Cut Chucks Rear view of worn green low cuts. 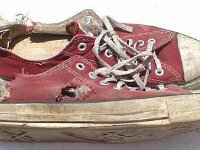 32 Trashed Low Cut Chucks Side view of trashed red low cuts. 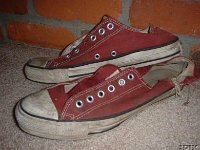 33 Trashed Low Cut Chucks Well worn red low cuts, outside and top views. 34 Trashed Low Cut Chucks Well worn red low cuts, side views. 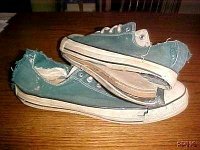 35 Trashed Low Cut Chucks Sole view of trashed blue low cuts. 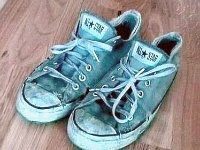 36 Trashed Low Cut Chucks Sole view of trashed blue low cuts. 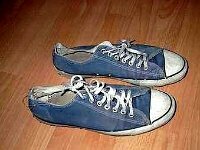 37 Trashed Low Cut Chucks Sole view of trashed blue low cuts. 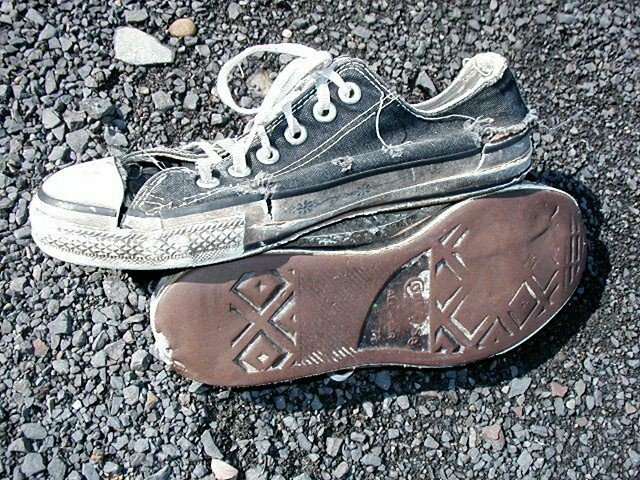 38 Trashed Low Cut Chucks Sole view of trashed blck low cuts. 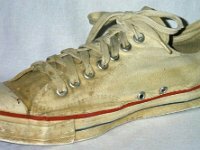 39 Trashed Low Cut Chucks Side view of well worn natural white low cut chucks. 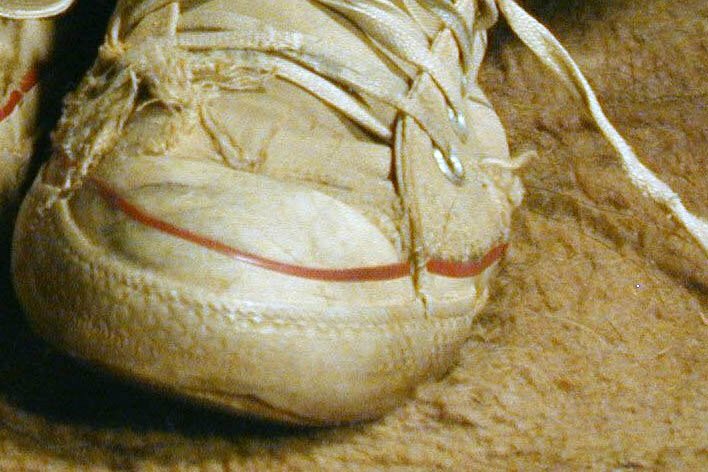 40 Trashed Low Cut Chucks Toe cap closeup of a well worn natural white low cut. 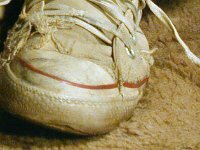 41 Trashed Low Cut Chucks Toe cap closeup of a well worn natural white low cut. 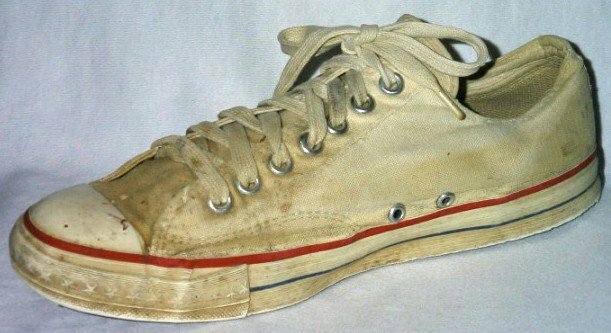 42 Trashed Low Cut Chucks Trashed white low cut chucks. 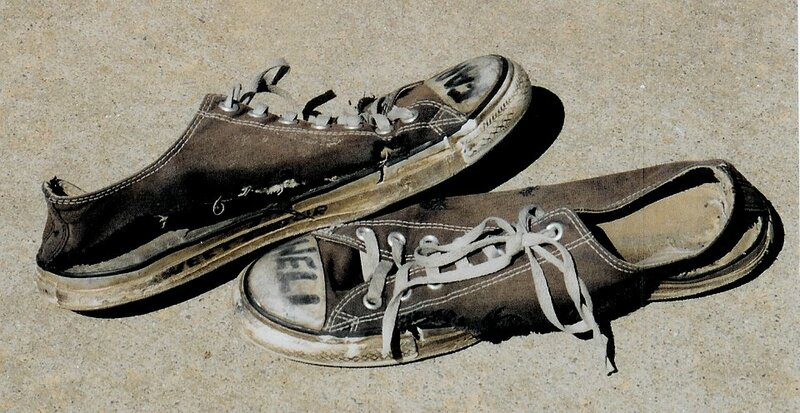 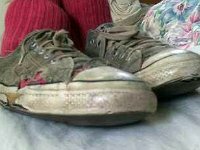 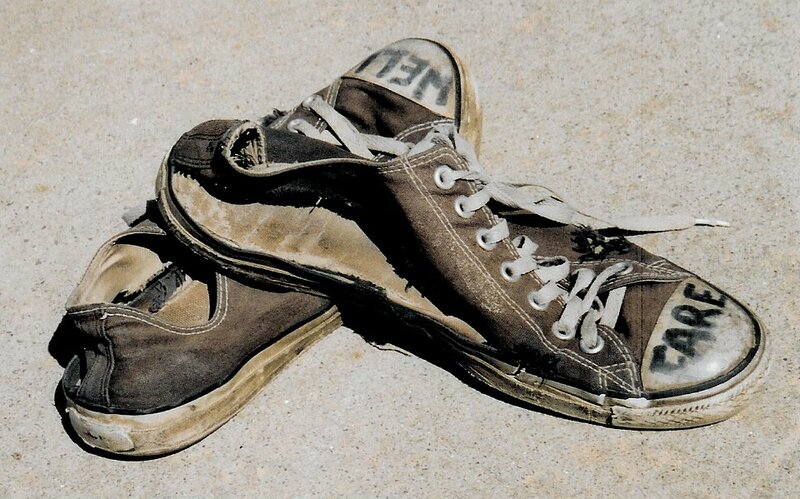 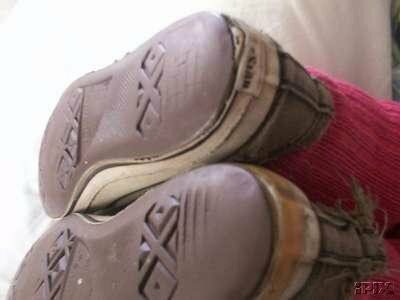 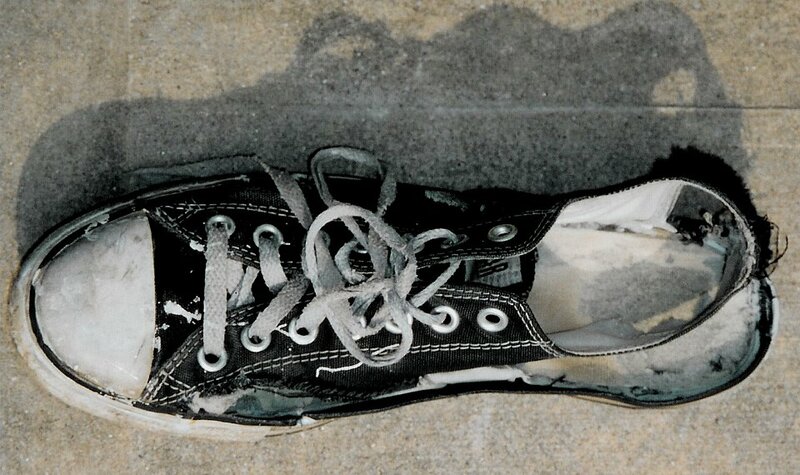 It takes a lot of wear and tear to get your chucks well worn or trashed. 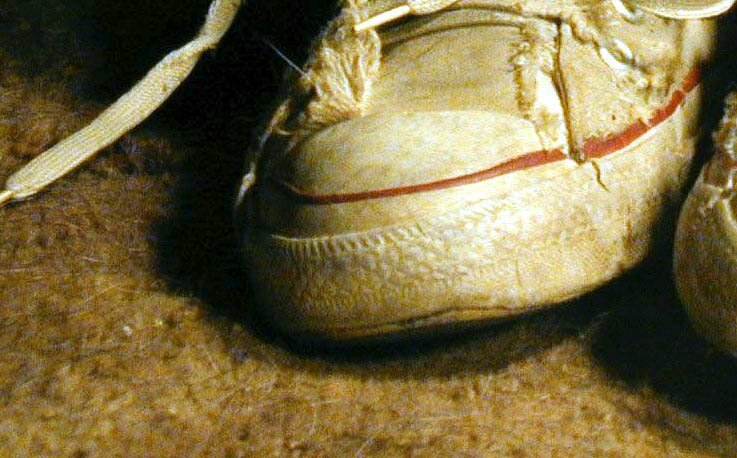 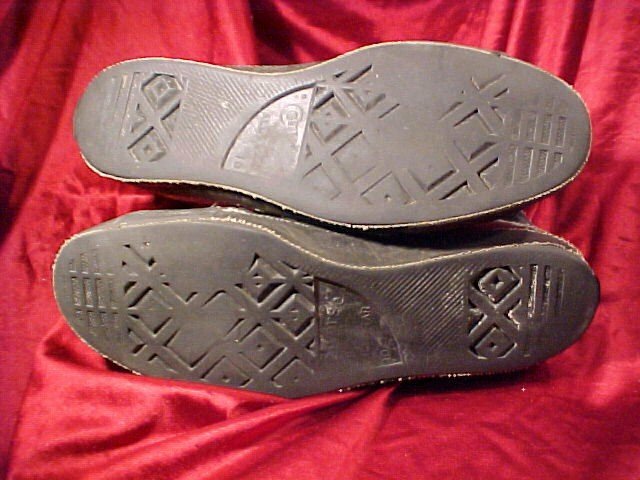 Probably six months to two years from a new pair. 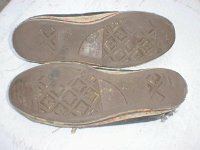 To start from scratch, click on the shoe links any where on this site.